Serendipity Awarded Grant from Kinsman Foundation! Serendipity Center was recently awarded a $2500.00 grant from the Kinsman Foundation! The local Milwaukie, Oregon non-profit unexpectedly selected Serendipity as a recipient, and we are grateful for their generosity. Kinsman Foundation began awarding grants in 2003 in the areas of historic preservation, arts & culture, and health care policy, and have continued to be a beacon of philanthropy in Oregon. We thank them for their anonymous selection. Click here for more information about the Kinsman Foundation. Serendipity Administrator http://www.serendipitycenter.org/wp-content/uploads/2018/08/serendipity-logo-header-with-40th-480x140.png Serendipity Administrator2015-12-08 17:37:132015-12-08 17:37:13Serendipity Awarded Grant from Kinsman Foundation! 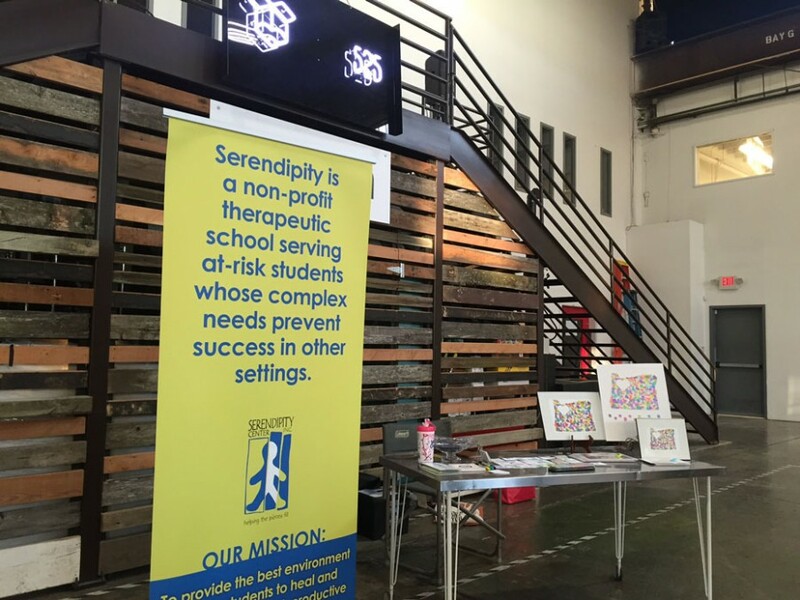 On Saturday, Novemeber 21st Serendipity Center was named the benefit non-profit at the 525 Design Pop-Up Shop. The pop-up shop hosted and organized by Nike employees is an annual event that showcases the talents of Nike’s employees. 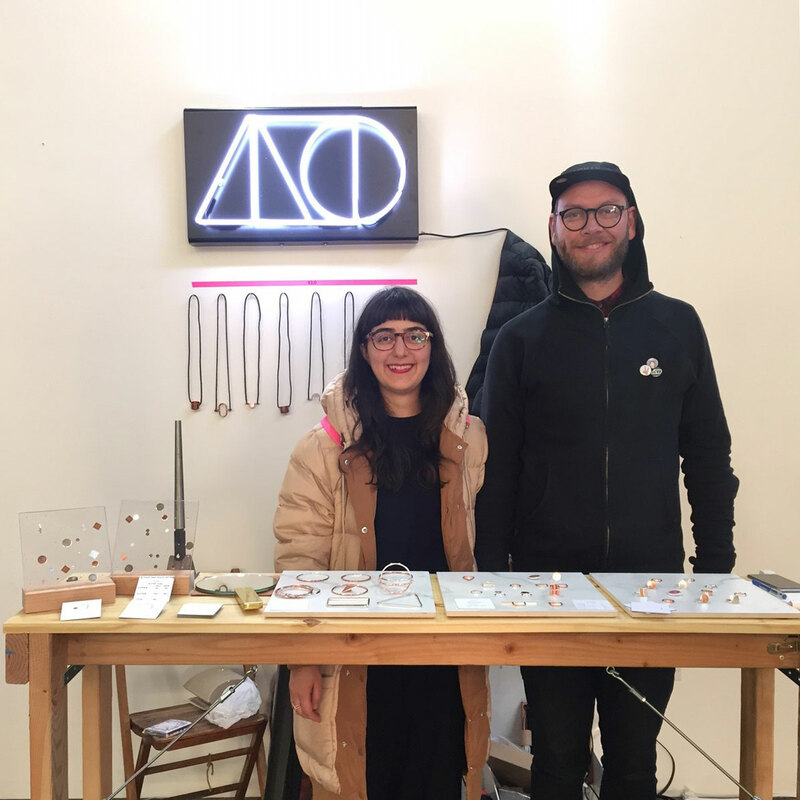 Items for sale ranged from jewelry to screen printed posters to leather goods. As the benefiting non-profit, 10% of all vendor sales were donated to Serendipity Center! We would like to thank Cayle and Golanz of amrikaii for bringing this awesome opportunity to Serendipity (pictured below). At the event Serendipity sold prints made by our students and art therapist Arianna and hosted an informational booth explaining our mission and services. Thank you Nike, Team 525, Cayle & Golnaz, and Fanny Ho for supporting Serendipity Center.